Product categories of Fixed Urethane Dumbbells, we are specialized manufacturers from China, Fixed Urethane Dumbbells, Fashion Deluxe Urethane Dumbbell suppliers/factory, wholesale high-quality products of Fixed Urethane Hex Dumbbells R & D and manufacturing, we have the perfect after-sales service and technical support. Look forward to your cooperation! Urethane products are stronger than rubber. It's much harder to cause cosmetic damage to these products because the outer layers are much tougher and resistant to the scratches, chips and marks that can occasionally occur on rubber weights products. PU Dumbbells also have the benefit of being non-marking, which is often sited as an issue with new Rubber Dumbbells when they are dropped on a new wooden or vinyl floor. 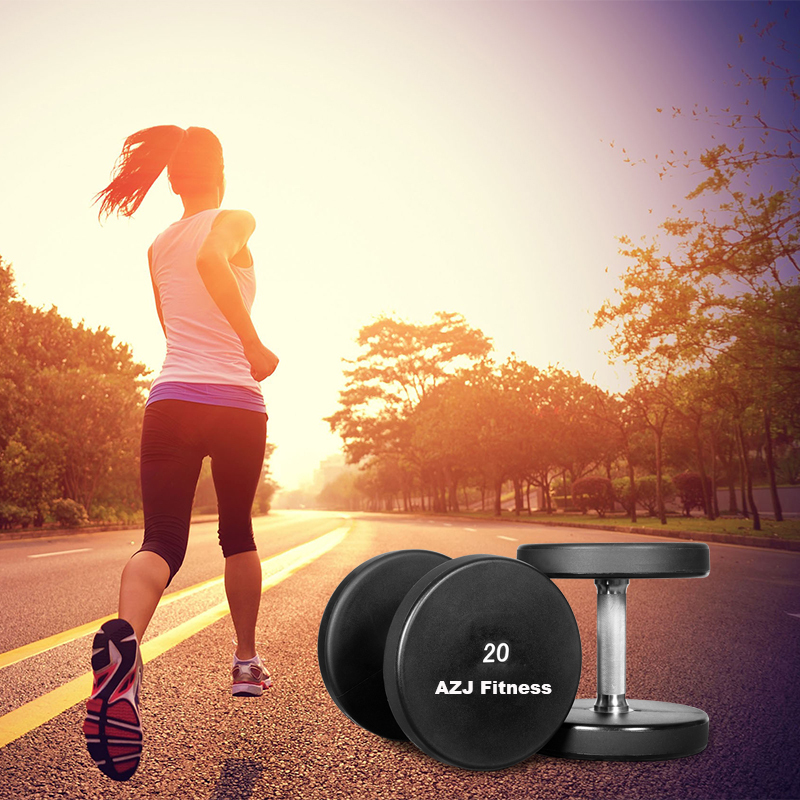 Another benefit of PU over rubber dumbbells and other fitness products is that urethane doesn't produce the signature odour rubber is known for. Fixed Urethane Dumbbells are another very popular, more premium commercial equipment option. Although, to the naked eye urethane (technically polyurethane or PU) doesn't exhibit a huge difference to rubber dumbbells there are numerous performance benefits which command it's slightly more premium price tag.